MOSCOW, September 4. /TASS/. Eleven regiments armed with mobile ground-launched strategic missiles Topol, Topol-M and Yars are taking part in an exercise in various regions of Russia stretching from the Tver to Irkutsk regions, the Defense Ministry said on Monday. "Eleven missile regiments armed with Topol, Topol-M and Yars missiles are currently on patrol missions in areas from Tver to Irkutsk. One-third of them are conducting intensive maneuvering… The exercise encompasses 20 regions of the country," the news release runs. The personnel will practice alert measures, maneuvering and operations in unfamiliar terrain. The regiments’ commanders will be briefed on the routes at the very last minute. Commando units simulating enemy forces will explore the area in advance to draw up a pattern of planting mines and creating ambushes and charting the likely routes of retreat in advance, thus posing extra hindrances to the missile forces on the move. About 400 large vehicles will be involved in the exercise. 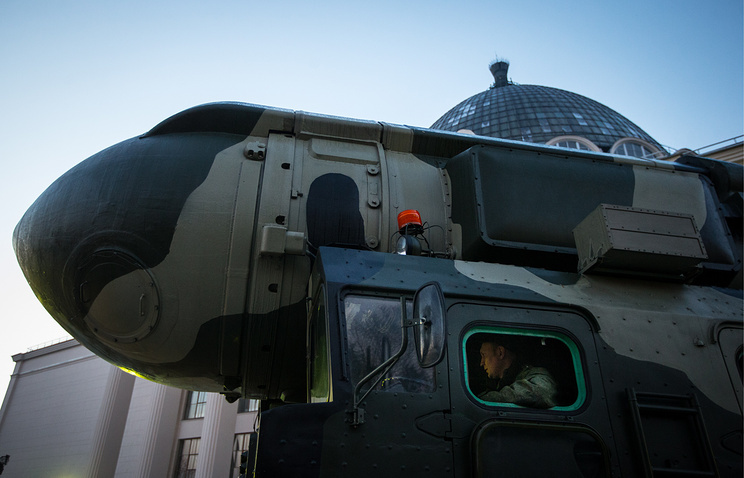 In all, the Strategic Missile Force will carry out 150 command staff, tactical and special exercises this year, the Defense Ministry said.